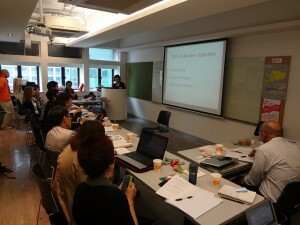 Second Harvest Asia (2HA) held the annual regional food bank meeting on Nov. 4 and 5 in Hong Kong. 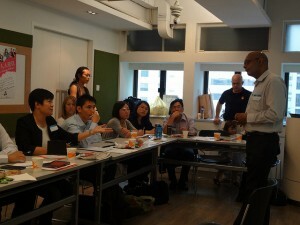 This time we had 15 food bankers from nine countries (Singapore, Malaysia, India, Hong Kong, Philippines, Taiwan, Japan, Korea, and the U.S.) to share best practices and ideas for further development of food banking in Asia. This time we made this meeting more practical by having more opportunities to discuss technical matters such as volunteer management system, how to solicit corporate sponsorship, how we measure impacts by utilizing operational data, and etc. Participants and 2HA agreed that we will continue holding this event and also 2HA provides more opportunities for all the food banks to exchange knowledge and ideas on a regular basis. We enjoyed company of each other and learned a great deal from other food banks’ experiences. We would like to grow this good “network” as ongoing efforts. Second Harvest Japan Volunteer Coordinator Megumi Takahara presented about their automated volunteer registration system using Salesforce. Food banks in Asia share challenges such as limited storage spaces and cultural barriers for end users to receive food assistance. Technologies can solve some challenges, and there are other challenges we would need ample resources. By having this network of food banks in Asia, we could not only share best practices, but also make ourselves more accessible to different types of resources. A group discussion led by Kuldip Nar of Delhi Food Bank. He led the discussion about how food banks can share operational data to measure and visualize the impact we create. In Asia, there are many efforts to develop food banking: The Korean government took the strong initiative with developing a food bank system in the country. In Taiwan, a local municipality and Red Cross have a great program for individual recipients. The Hong Kong government’s efforts to grow the NGO sector including food banks in the region is something we should pay attention to. We see there is a great growth when the nonprofit sector works well with the private sector and the public sector, and this might be even more important in Asia. 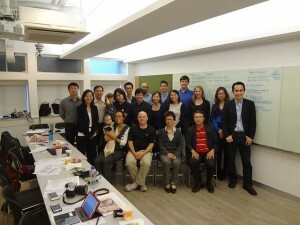 We would like to thank all the food bankers for gathering in Hong Kong. Second Harvest Asia feel more connected to them, and we are looking forward to building stronger relationships so that we can feed more hungry people in the region more effectively.